As American as apple pie. That’s how the saying goes. Whether you’ve got a holiday party coming up or if you’re just in the mood for an indulgent dessert, a slice of apple pie is always satisfying. For some of the best options around, check out these 10 amazing pie shops in Oklahoma. You’ll find some very modern pies at Pie Junkie, but the apple crumble is too good to pass up. It’s a flaky crust, filled with tart granny smith applies that are sweetened with cinnamon and sugar. You can even take one home that’s frozen and bake it yourself. Hammett House is known for its pies. You’ll be tempted by their signature sour cream raisin, but be sure to grab their double crust apple with a side of ice cream. If you’re trying to watch your waistline, they also have a sugar free apple which comes highly recommended. This diner serves wonderful fried pies. It generally has a variety of offerings, but the apple is a mainstay. It’s worth the drive, but if you’re taking a day trip, make sure to visit the Cherokee Heritage Center in Park Hill, about 20 miles away. Fried pies are absolutely delicious and probably no one does them better than this shop in southern Oklahoma. They have many different flavors, but in the fall, take advantage of the crisp air and enjoy an apple pie. Take your appetite when you visit this place just southwest of Tulsa. It’s good, old-fashioned home cooking like your grandma made. Pies are baked fresh every day. The apple pie is divine. This modern bakery offers many different types of apple pies, including gluten-free versions. The double crust apple pie is traditional, but the apple crumb has a nice streusel topping that bakes up all crispy and yummy. 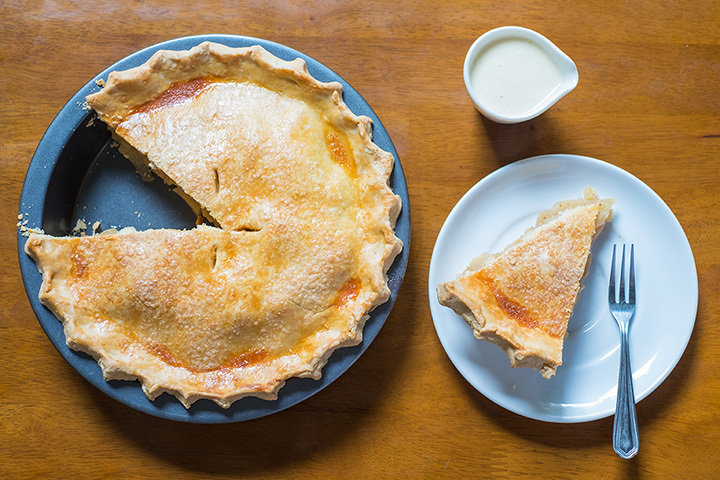 If you don’t need a whole pie, you might find an apple hand pie that’s suitable for one. The steaks aren’t the only thing to rave about at Cattlemen’s. They bake all their desserts in house, and the pies are highly recommended. Unfortunately, there’s no guarantee that apple pie is on the menu every evening. As one of Tulsa’s favorite bakeries, Merritt’s is sure to give you an apple pie that you’ll never forget. They have three locations in the Tulsa area, so you’re never far away from these treats. This bakery and coffee bar is located just a short walk from the OU campus. You can order whole apple pies to take home, but you’ll want to call ahead. The specials change daily, but you should be able to get an old-fashioned slice of apple pie to go with your coffee any time. The Oklahoma Gazette recommends this restaurant’s apple pie. It’s a nostalgic diner that serves breakfast, lunch and dinner. If you’re not ready to eat pie at breakfast, try the cinnamon apple fritters. They’ll remind you of an apple pie but without all the decadence.